London Lakes has constructed its own private fly fishing stream, known as the Oxford Pools. It will eventually be fifteen kilometres long. Stage One of this stream opened to Lodge guests on September 1, 2002, with about twenty pools containing brown trout to five and one half pounds. Jason and Barbara Garrett, Australian-born in the mid-1930’s and married for thirty-six years with five children, owned London Lakes until September, 2003. 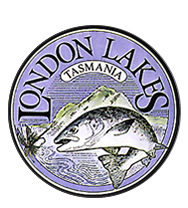 After twenty years of surveying, prospecting, politicking and raising children in Papua New Guinea, they returned to Tasmania in 1978 to develop London Lakes, which they purchased in 1973. Centrally located in the Tasmanian Highlands, the Garretts owned, developed and operated their remarkable fly fishing estate for nearly thirty years. 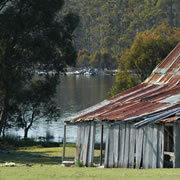 Ten years after their return to Tasmania, the estate hosted the 8th World and the inaugural Commonwealth Fly Fishing Championships in 1988. A huge success, these championships are still a topic of conversation among discerning anglers from around the world. 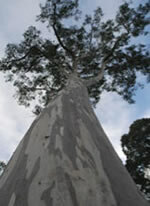 Jason represented Australia in World Fly Fishing titles in the Czech Republic, the US, Poland and Spain. He captained Australia in Slovakia in 2003. He was in the team that won the Commonwealth Championships in Wales in 1990, competed against Canada bone-fishing in Cuba and captained Australia at the US One Fly challenge in Jackson Hole. He also caught marlin and sailfish on the fly in International billfish events. A friend of the manager, he often is found lakeside, stalking fish with a dry fly. London Lakes was purchased in 2003 by a group of families from Sydney who have refurbished the Lodge and farmhouse to create superb accommodation. 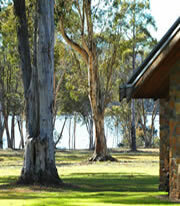 The Lodge and property were closed for two years while improvements were made. The highland stream that connects the two lakes was extended and completed, resulting in over 40 pools and meandering runs to challenge the experienced fly fisher. 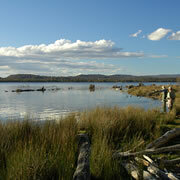 A careful restocking program with wild trout refreshed and improved a fishery that already was reputedly Tasmania's best public or private water. We are pleased to tailor a package to your needs. "The best lodge in the world and the best friends a fisherman could have. Thanks for making my stay another great experience."